RC Drone - I'm Sick Of The Sensationalized BS! I have been hopeful the RC Drone misnomer would fade as the general public got more informed as to what most of these RC aircraft actually are. Unfortunately that's not the case; in fact, I'm basically pounding sand hoping things might actually improve. Yep, I have come to the reluctant conclusion, the name drone (regardless how incorrect it is to describe the vast majority of multi-rotor RC aircraft) is here to stay; and nothing I do or say has a snow ball's chance to change that. Tribal mentality, sensationalized news reporting, and marketing hype are easier and more appealing to accept. All that said, I would at least like to point out what the vast majority of these fun recreational aircraft actually are. Below are a few rotary model RC aircraft I currently fly... Your job is to identify which one is the RC drone. So, which one is the drone? They are, all of them, run of the mill RC aircraft. What Makes A True RC Drone? Before answering that, I should point out what all these aircraft (both RC & Drones) are. They are all UA's (unmanned aircraft), or UAV's (unmanned aerial vehicles), or sUAS's (small unmanned aerial systems), or RPV's (remotely piloted vehicles). If media and marketing wanted recreational RC aircraft to sound cooler or more menacing, then at least call them a UAV, UAS, or an RPV. I suppose "RC Drone" just rolls off the tongue easier and is way easier to both market and sensationalize? An unmanned aircraft must meet certain criteria to be classified as a true drone. 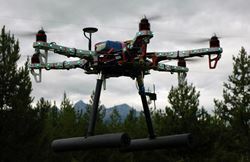 Most aerial drones (not all however) are fully autonomous; meaning they are essentially flying robots and need no human intervention for flight control. Yes, humans program a flight mission and can usually take over control when needed, but most of the time they are flying fully autonomously. The next distinction is the single most important one that no true drone can be without. It comes from the mention of the word "mission" in the first point. All true flying drones MUST perform a specific flight mission; whether that be aerial reconnaissance, camera/video imaging, atmospheric data acquisition, or search & rescue operations. In short, they must perform some specific job and have a useful, commercial, or military application. Again, none of us in the hobby are doing that, we fly for fun & recreation and "drone" is simply the most incorrect thing anyone can call any of our RC aircraft. Drone after all is a "worker", the exact polar opposite of fun! If you use a quad copter or other RC aircraft for commercial use (ie. aerial photography), in most countries you will need special permission or a certificate to do it legally. This still doesn't mean you are flying a drone however. No governing body (that I can find anyways) calls these "drone certificates", they call them UA (unmanned aircraft) certificates. The majority of true aerial drones weigh over 25 kg (generally much more in fact) and can fly for hours on end - can your little sub 10 pound RC quad-rotor do that? No, well guess what - it's not a true drone. There now are the new type of quad-rotor aircraft that can certainly qualify as a "flying drone", and these are the next generation of fully autonomous flying action cameras such as the DJI Mavic Pro which have very sophisticated autonomous technology such as GPS positioning, follow me, and obstacle avoidance. 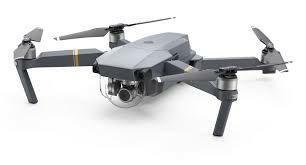 They are designed for one purpose, and that is to take stunning aerial photography & video. They work hard at that specific task and watching one these things following you around taking video and tracking you, is nothing short of science fiction becoming science fact. 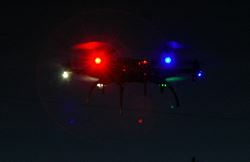 Personally, I like the term "flying camera" or better yet, "flying robot" for these fully autonomous quad copters. Both are more accurate and descriptive technology wise, without the negative spin. So Why Do I & Other RC Aviation Hobbyists Get So Upset Over This Seemingly Harmless "RC Drone" Misnomer? Simple, IT'S REALLY HURTING OUR HOBBY!!! I have been involved in RC flight now for over 30 years, and never have I seen it been cast in such a negative light in all directions. For years, us RC aviators were very responsible and able to self govern our activities putting a very positive spin on model aviation in general. Now all that hard work has been undermined by lack of education, ignorance, superstition, sensationalism, and poor judgment/actions of others. "Possible Drone Sighted Flying Near Airport!" "RC Helicopter Flying Near Airport!" Most people will chose the first one, even though the second is much more serious & dangerous. It's no wonder I get so upset after all these years when I have considered myself a responsible RC aviator/hobbyist; and now all of a sudden, I'm being pigeon holed as a "drone flyer" by those who don't have the slightest clue about our hobby! Hell, just last week, my wife was approached by someone who asked, "was that your hubby who was flying a drone north of town yesterday?" Indeed I was out flying - a big scale RC helicopter; so it's not bad enough I've been given the derogatory name plate; my poor innocent helicopters are also being called filthy drones. The gloves are off! Want more proof how the general public perceives "drones" and are being mislead? Have a look at this Audi A6 Commercial. Yes, it's a great & entertaining twist on the Hitchcock classic "The Birds", but totally & incorrectly portrays multi-rotor aircraft as a threat. "Advanced Technology In The Hands of Irresponsible People With a Sense of Entitlement Will Impose New Restrictions & Public Negativity". Assuming computer animation was available at the time, Audi could have easily made this commercial years ago with RC airplanes or helicopters attacking people. Of course they never did as there was zero fear of RC aircraft back then, and justifiably so because us model aviators were responsible, and gave the general public no reason to fear our aircraft. Here's another example of sensationalized Drone BS! This time for an insurance company. Totally inaccurate. There is no way that tiny sub 500g plastic quad copter could put a gaping hole in a dual laminated windshield like that unless perhaps it hit the truck head on at highway speeds. Not to mention, the flimsy plastic quad would be in pieces afterward. The totally intact plastic motor nacelle arm that is sticking right through both layers of glass and lamination, not to mention it's still running is laughable. Moreover, they didn't even get the transmitter right. Notice the long 72 MHz antenna with a 2.4 GHz quad copter. I know, who cares about such minor details, "we are selling a product here by praying on ignorance". You want to show that kind of damage inflicted by an RC aircraft, then let's at least see a 10kg+ 800 size RC helicopter or RC jet airplane stuck in the windshield. Of course, a hypothetical claim of that nature is a much harder stretch to sell on a commercial, specifically because it rarely if ever happens. So lets use a little light weight quadcopter to instill yet more public fear and negativity toward our hobby with this total fictional nonsense! What kind of world are we living in? Misleading people with false facts and zero understanding to promote fear - it's sickening! Well, my "real" fear has come true! 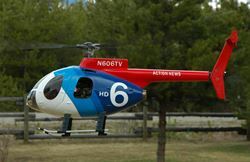 Thanks to irresponsible marketing, sensationalized news reports, and people doing really stupid things, the FAA now requires mandatory registration of all RC aircraft that weigh over half a pound and are flown outdoors. Here is my full write-up explaining what this means for all RC pilots in the USA. Transport Canada has also joined in with their new over-reaching RC Drone restrictions (effective March 2017 onwards) which affect all over 250 gram RC aircraft usage. A BIG THANKS go out to all the nuts out there for wrecking it for the rest of us; along with the false advertising, and sensationalized media reports of "drone sightings". Here is another good RC Drone BS article published by Brian Dunning at Skeptoid.com. Any critical thinking person should enjoy the read. More and more law makers world wide are jumping on the "drone threat" bandwagon and imposing new restrictions without even knowing what the dangers really are, and from what type of RC aircraft are primarily responsible. Naturally, the general public now see all RC aircraft as bad and negative things, so elected politicians are seen as "looking out for my safety and privacy" heroes when in fact they are big ZEROS! Knee jerk reactions with no statistical studies or science based evidence involved whatsoever. Of course, when was the last time any politician listened to a real scientist, expert in their field, or used fact based logic when making a decision? Yes, another topic for another time. A little perspective is long overdue! As of January 2019, there hasn't been a single death caused by a "drone" anywhere in the world. You are more likely to get killed by a falling meteorite and way more likely of winning a million dollar plus lottery. So why all the hysteria? It's pathetic! What Can We All Do To Improve This RC Drone Problem? Like it or not, the careless use of the word RC drone has certainly gained world wide acceptance when it comes to describing pretty much any multi/quad-rotor RC aircraft on the market, and even conventional RC aircraft by many. When the FAA, Transport Canada, and other government regulatory bodies world wide start using the word "drone" as well, along with almost every manufacturer and even what I thought to be very responsible hobby shops; I realize there is absolutely nothing a little guy like me, nor anyone else can do about putting a dent in the erroneous use of the word. Naturally that doesn't mean I will roll over and accept it. Like most true RC aviation enthusiasts, I will continue to fight this tooth and nail. I will continue to correct everyone I meet or talk to who uses the word drone describing the vast majority of quad or multi rotors or even planes and helicopters. Very bluntly & directly I might add! Be A Responsible RC Aviation Hobbyist! There is one fundamental reason why our hobby is under such scrutiny right now, misleading drone nonsense aside; it's because of the actions of IRRESPONSIBLE PEOPLE - Lots of Them! I touched on this point on my Are RC Helicopters Hard To Fly & FAA RC Registration pages. 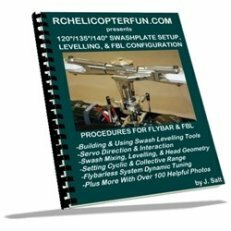 As I stated on those two pages, the introduction of electronic flying aids (full stabilization, GPS, return to home) have made it possible for just about anyone to fly an RC aircraft with no skill or training. Scarier yet, many are flying them well beyond visual range relying 100% on the technology to save their bacon if things go wrong! Yes, that's illegal in most countries and I'm still amazed every time I see a video online of some nut flying a "drone" many km's away over high population and urban areas. I just saw one recently of a guy in Maui "RC island hopping" using the 4G network to improve flying range from a couple km's to many tens of km's. Totally relying on the robustness of 4G coverage and several times on "return to home technology" which is never full proof. Why doesn't the FAA come down on idiots like that? Hell, they are posting their actions on YouTube for everyone to see. And then the "copy cats" see this crap, don't understand that it's illegal or the dangers involved, and do the same thing. All of a sudden the air space is full of traffic that used to be empty and safe for full size aviators. There are now unfortunately millions of people flying RC aircraft with little to no understanding of the risks involved (ie. the numerous things that can potentially go wrong while flying an RC model). Before all this "electronic help", if you weren't skilled enough to fly, you simply crashed long before your airplane, glider, or helicopter ever got high or far away enough to pose a threat to others, plus we all flew our RC aircraft in a small visual envelope of space (visual line of sight - VLS). Well, that "beginner safety net" and "close proximity flying arena" are now gone. I get at least one email a month from someone who just got a quadcopter and is super upset because they lost it. Blaming the aircraft no less, when almost always, it's 100% their fault due to flying it way too high up & far away for their ability or what would be considered safe. An RC plane or heli would just crash as soon as you can't make out what you are doing, but not an RC quad/multi-rotor or flying wing with electronic stabilization. Where do you think all these lost RC aircraft are going? They come crashing back down to mother earth, some of which will no doubt cause property damage and even personal injury. Yes, that's the real threat here. Both in the numbers of these simple to fly things up in the sky, along with little to no understanding of how they even work coupled with a total lack of common sense, and complete sense of entitlement by many of these "drone fliers". And now, those of us who have spent hundreds if not thousands of hours learning & honing our RC flying skills, while never once posing any threat whatsoever are funneled into the same group, and as such are blanketed with the same overreaching restrictions. We are a totally different group of RC flier! Please don't think for a moment I'm against all this new stabilization technology that has opened up the wonderful world RC flight to so many. I'm thrilled that people who never once considered piloting an RC aircraft can now enjoy this fun past time as well. Some then go onto the real challenge of true RC aviation and get into planes, gliders, or helis. There simply needs to be more education & simple common sense. 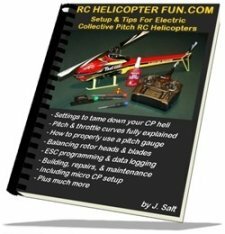 "How do you know when your RC aircraft might fall out of the sky or experience a total loss of control? Any time it's flying!" If this simple, yet powerful thought is in your head while flying any RC model, you really start paying close attention to what you are flying over and the potential risk & danger you may be causing. That simple statement should be a mandatory item to put in the instructions and on the box in bold print of every RC aircraft sold. It won't keep all the mischievous nuts or those with sense of entitlement mentalities out there from flying over busy areas, people, houses, and worst of all - near airports; but I'm sure it would go a long way to educate good people new to RC flight that nothing is full proof and that they as the RC pilot are accountable for their actions - more so now than ever. Remember, flying RC aircraft is a privilege, not a right! 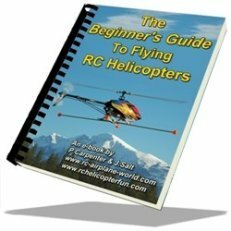 For those new to RC flight, I encourage you to read AMA's (Academy of Model Aeronautics) safety code to get an idea of what you as a model aviator should be aware of and what safe flying is all about. This safety list is very similar to most other country's RC safety rules. The Know Before You Fly website is also a great resource. This next video is really entertaining if you are a Jeff Dunham fan like I am. Is it too much to ask these days for people, reporters, & politicians to use common sense? Perhaps it is. If so, we are well on our way of losing one more super fun and fairly unrestricted & unregulated past time that many of us have been safely enjoying for over half a century without issue.